We at Hydro jet –eng liquid waste management division have a complete operation for handling your waste from Labeling, packaging, collection, transport right through to treatment and certification of disposal/recovery. We provide the highest standard of service to our clients nationwide Licensed transportation of chemical & hazardous waste from your site. to a EPA licensed hazardous waste treatment facility & transfer station. 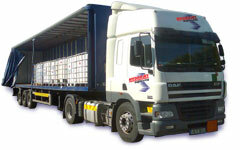 We also offer free consultations regarding any waste disposal and storage issues. Our experienced Engineers will carry out a free of charge on-site evaluation.